An interesting webcast from the former vice-president Al Gore concerning the movement Power Shift 2009's effectiveness in the election and the need to continue to hold elected officials accountable. This video comes from October 30, 2008 and covers a number of topics that people should keep in mind as the new administration and congress plan the direction of the federal response to the environment and energy. Could Netbooks be the next step in reducing ecological waste and energy consumption for the personal computer user? In some ways, the answer is yes. Netbooks, in their inherent design structure, offer a more eco-friendly and energy efficent alternative to other current laptops. 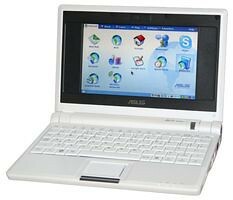 Still, depending on the needs of the consumer Netbooks may not be a practical possiblity. The young people are marching, but this time for green technology. Yesterday in Washington D.C. 12,000 young people ended their four day conference protesting current U.S. policies on energy and climate change and urging a new way forward. The event was created by Power Shift 2009. Powershift 2009 is a grassroots organization that is demanding the government stand up to powerful lobbies destroying the environment while investing in science and green jobs. Find below Senator Ken Salazar's keynote address at the event. Gov. Schwarzenegger delivers opening remarks at the CeBit 2009 today in Hanover, Germany. His comments at the international trade show focused in part on the use of technology to create the next wave of green inventions. 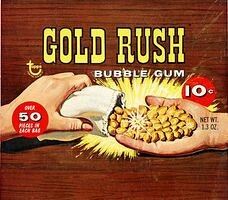 Could California be in store for a second gold rush? Possibly, according to a new study set to be published by the University of California, Berkley and the Lawrence Livermore Labs. The study's findings are outlined in an article authored by Cyrus Wadia, A.Paul Alivisatos and Daniel M. Kammen. Kermit expressing the feelings of many on the periphery of the green movement. How wrong they are. Recently the world saw a switch in global leadership in renewable wind power. For years Germany has lead the way in wind production, but now nations must say achtung to the United States as being on the cutting edge of wind technology. 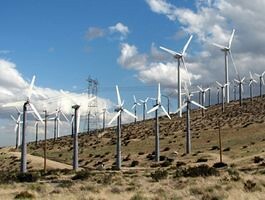 According to the Global Wind Energy Council, the United States increased their wind power capacity by 29 percent. This increase is an additional 8.4 gigawatt into the national power grid. The increase, more than any other nation, gives the United States 20.8 percent of the world total installed power base. Germany's installed wind power base accounts for 18.9 percent of the total world production.